Obesimed is a medically developed weight loss tablet for weight loss providing weight management for mildly to extremely overweight (obese)people. It is non-prescription and can be bought over the counter and online via various weight loss and diet related web sites. It is been well researched and is made in accordance with strict quality standards of ISO 13485: 2003. 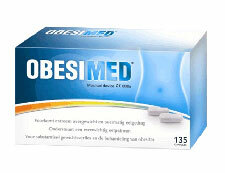 Obesimed® is a Class IIa medical device that conforms with the medical device directive 93/42/EEC. It is quite surprising that many commercially available diet tablets (over the counter) have no medical backing, no clinical trials performed or do not adhere to any quality standards. Obesimed has an abundance of documented clinical data behind it. The product is based on vegetable ingredients: OMTEC 19®, Amylum Solani, Hypromelllose (E464), Oleum Helianthus, Titanium Dioxide (E171). Targeted towards mildly to extremely overweight adults and children from 10 years of age. Obesimed can help with appetite suppression, it can also help with eating disorders, although it does not go into any detail about how this weight loss tablet addresses these kinds of disorders. Suppressing appetite is of the best forms of natural weight loss. It does not cut out or remove any particular food group but encourages the dieter to eat less. Using Obesimed may help prevent excessive eating behaviour, supports balanced eating habits and leads to considerable weight loss. Should cause nay side effects if used in accordance with the manufacturers suggestions – Although cases of mild stomach upset and/or intestinal complaints have been recorded. Obesimed is an average appetite suppressant but can be overlooked in favour some of the more potent products. 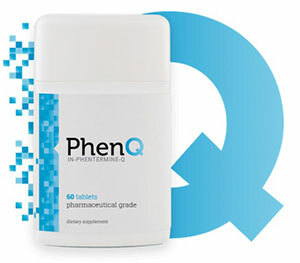 Its very hard to ignore PhenQ the multi benefit that has completely revolutionised the weight loss industry. PhenQ contains an ingredient that has a strong association with the NHS but available to buy without prescription. When released onto the market PhenQ caused such a clamour that it sold out within 3 days.